View cart “Pepper, Pong Sri Thai (Capsicum frutescens) packet of 30 seeds, Organic” has been added to your cart. Jalapenos are easy to grow and the load of fruit on the compact bushes is really a bit absurdly large for the size of the plant. The word “overloaded” comes to mind. 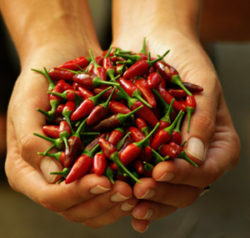 The fruits are thick-skinned and blunt, fat even, and are traditionally used for pickling and for making chile. They are very hot. 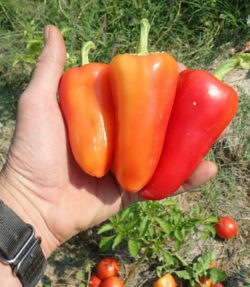 Peppers can be harvested green or allowed to ripen to a bright red. 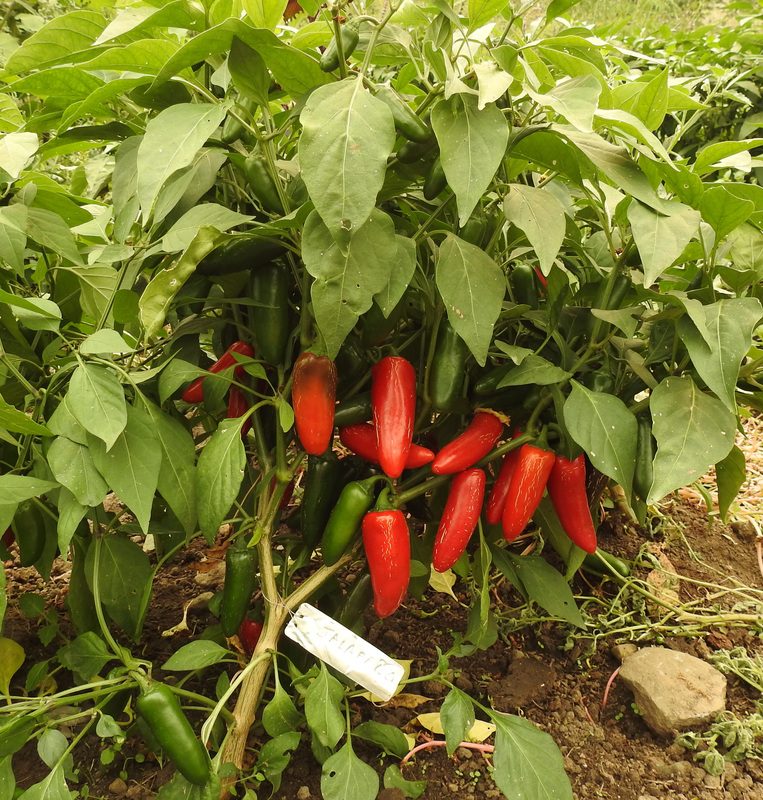 We allow the peppers to go completely mature and ted before harvesting for seed. 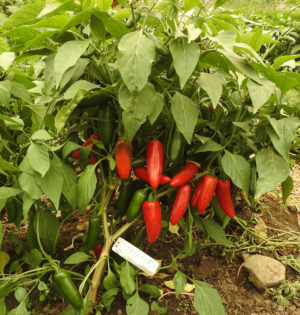 Some peppers scald when summer sun gets too hot, which damages or ruins them. Note in my picture how the plant has been designed by nature to shade the fruit, so they do not scald. 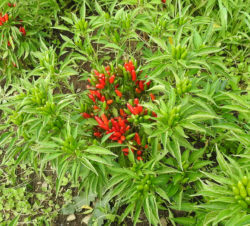 Standard pepper culture, fertile, fast draining soil watered shallowly and frequently in a full sun position.